We next take a look a the behavior of eating meat. The majority of those surveyed eat meat 4 or more times per week (75%), and 32% of those surveyed eat meat daily. Realize that even within these groups there can be a wide range of meat eaten, as I don’t ask if you have meat at every meal, so it is possible for those who eat less than seven days per weak to eat more meat overall than those who eat meat every day. I looked at 9 disease states and their relationship to meat consumption (overweight, obese, high blood pressure, diabetes, high cholesterol, asthma, arthritis, depression, and back pain). Of these only depression showed a dependent relationship, mean that they seem to influence each other. While the correlation was not thought to be statistically significant, the trend line suggested that as the amount of meat consumed increase, so did depression. I must state that in a survey like this, it can never prove causality, only relationship. That being said, for each of the disease states, as the days of week that meat is consume there was an overall increase in the disease state, as suggested by the trend line, with the exception of arthritis. 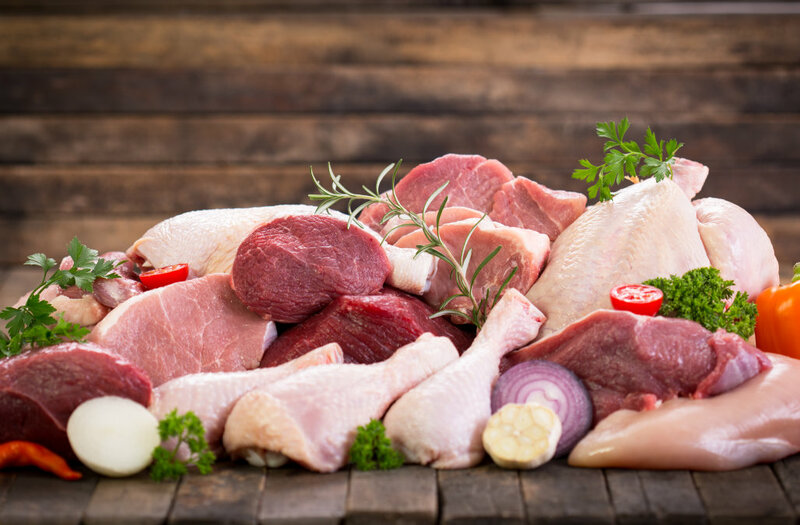 At first glance this may seem odd, however animal sources of protein are high in glycine, which is a major component of cartilage and connective tissue. So meat may have some benefits, and again how the food is cooked may be important. The finding here are consistent with the observations of “The Blue Zone” project that found that in cultures where people have a tendency to live well at the age of 100, they eat very little meat (but still eat meat). They tend to consume meat 1 to 3 times per week. More of their protein comes from beans (which I will talk about next week). Recommendations? For those that eat meat at every meal, try to have some of the meals meatless. You may go from their to a couple of meatless days per week. For health reasons, I don’t think it is necessary to totally give up meat. In fact, some nutrients are hard to get if you don’t eat meat, like vitamin B12. Another strategy to decrease your meat consumption and get more health bang for you buck is to eat more stew. If there are bones on the meat that you use in your stew, this has the advantage of creating a bone broth, which some have found quite helpful in improving their health. Turns out that the proteins in the cartilage, skin, and bones is good for us. Also the lower processing temperatures of soup (compared to baking and frying), may preserve more the nutrients found in the meat. If you make the change and feel better (or worse), let me know. Also if you have some good recipes to share for a good meat and vegetable stew, please share that as well.